The Perseid Meteor Shower will begin Sunday night around 10pm (assuming you live in the Eastern Time Zone in the northern hemisphere). 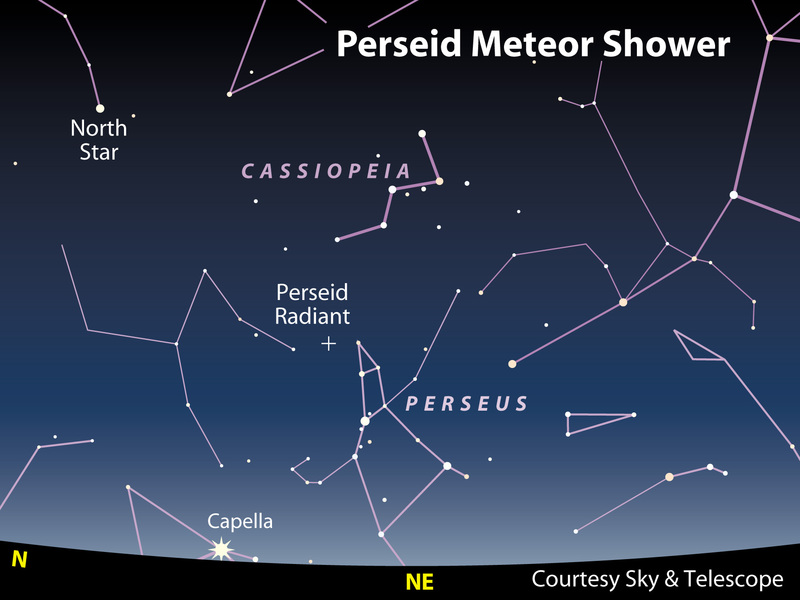 The shower will appear to come from the constellation Perseus, in the north east. It will peak just before dawn when, if we’re lucky, we will see one shooting star every minute.